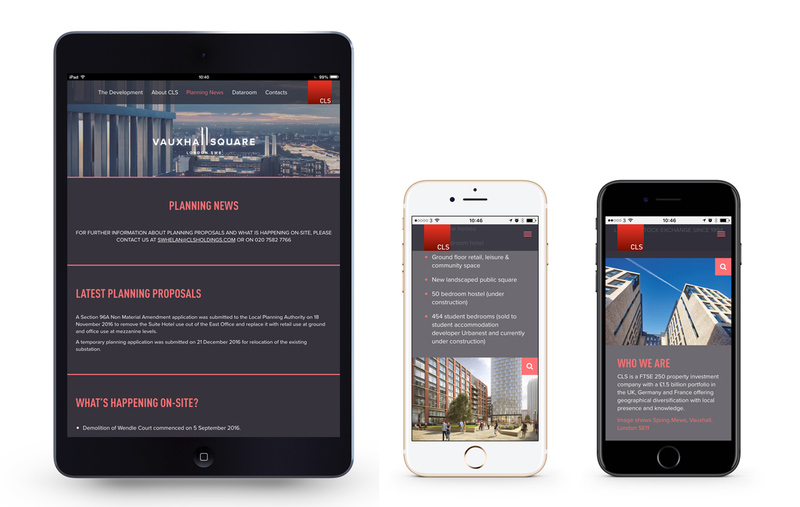 Further to the success of the Nine Elms project last year, GQ was invited to tender to market the adjacent Vauxhall Square site, working with prestigious property investment company CLS Holdings, and we were delighted to be brought on board. Situated directly behind the tube station, the site has planning for two landmark 52 storey towers of apartments with panoramic views across London, alongside commercial and amenity space and a new public square. 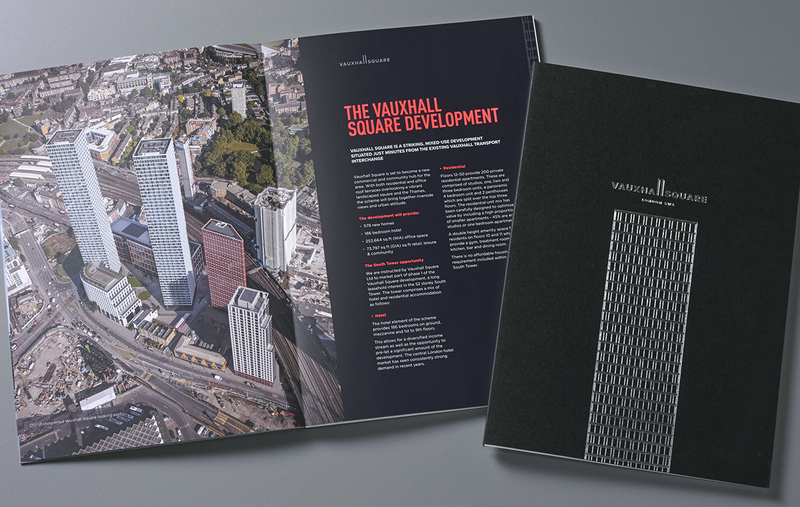 From developing the brand – which takes inspiration from the two spectacular towers – to high-end CGIs and animation, advertising, stylish silver-edged, lay-flat brochure and website with substantial dataroom, it was great to see the full marketing collateral brought to completion.